The UK Comprehensive Approach in Afghanistan: a parody of reality? Attached here is a copy of the full uncorrected transcript of my part of the evidence in full. 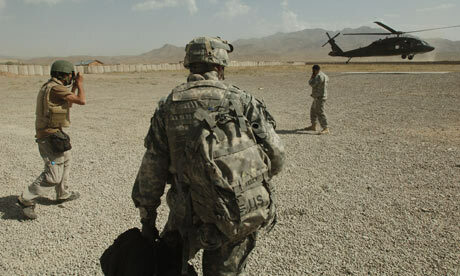 Posted on July 5, 2009 November 26, 2009 Author stephengrey1Categories Afghanistan, British ArmyLeave a comment on The UK Comprehensive Approach in Afghanistan: a parody of reality? Thirteen British soldiers died last month in Helmand province, Afghanistan. Their deaths were reported, for the most part, in small paragraphs on the inside pages of newspapers. Why? Because journalists find it almost impossible to reach and report from the frontline of the conflict. When the Royal Marines launched a fierce hand-to-hand battle last Christmas in the muddy poppy fields of central Helmand, four soldiers died – but the only news that escaped was a press release from the Ministry of Defence. B Company of 2nd Battalion the Yorkshire Regiment (Green Howards) was formed up and ready for action. The officer commanding approached and reviewed his men. “Permission to have a go, sir?” asked Corporal Carl Peterson. They were, after all, in Blackpool. Major Jason Alexis Little, 36, had a twinkle in his eyes. He had known some of these men for nearly 16 years. He had grown up with them. They all addressed him formally as “sir”, but for the seniors among them he was simply Jake and he was one of them. He probably knew Sergeant Lee “Jonno” Johnson the best. Jonno was the reason they were all standing outside the Walkabout club in Queen Street, Blackpool, in early September 2007. The bouncers had just evicted him for being drunk, not to mention for wearing flip-flops. Jake had gone out to remonstrate. If Jonno was a little drunk, as most were that night, then he was a happy drunk and no cause for worry. The rest of the company had followed Jake out and that was why they were lined up for action. Jonno was something of a legend in the regiment and not always for the best of reasons. As a boxer and army judo champion, his nicknames varied from “Judo Johnson” to “Mad Dog Johnson”. Every man with something to prove wanted to take on Jonno and it invariably ended up in big trouble. When Jake had joined B Company as a green young subaltern, Jonno had seen himself as his protector. If they were in a club and someone started to pick a fight with Jake, he would come steaming to the rescue. Although they were poles apart in many ways, everyone remembered them as very close. SENIOR British Army commanders have denounced the government’s strategy in Afghanistan as a “constant muddling through” that has resulted in a “failing” approach to defeating the Taliban after three years of bloody confrontation. In a series of outspoken interviews, several high-ranking officers who commanded British troops in Helmand province express anger and frustration at what one brigadier described as “making it up as we go along”. Brigadier Andrew Mackay, who commanded Helmand’s Nato forces for six months last winter, claimed a British failure to deliver economic development or reconstruction for ordinary Afghans meant that “one of the central tenets of counter-insurgency doctrine is failing”. There is a popular slogan seen stencilled on American gun trucks: “We do bad things to bad people.” Prince Harry had those words on the back of his cap. In the Afghanistan War, the difficulty is working out who those bad people are. An even tougher question is: which of them to kill, and which to put in positions of power and authority? 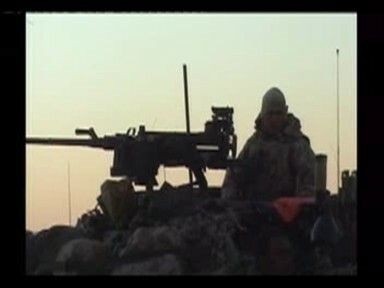 Newsnight has just posted the film I made on the Battle for Musa Qala in Helmand in Afghanistan at the end of December. First published in Sunday Times. THE men of B Company gathered in whispers on the hilltop, helmeted silhouettes against a tapestry of stars. Tonight, until first light, they would take turns at sentry duty � “stag”, as they call it � protecting the body of their fallen comrade. He was lying in our armoured vehicle. No helicopter was available that night to fly him home. Major Jake Little, 36, the officer commanding, knew that emotions were running high. That morning, in front of us all, Sergeant Lee “Jonno” Johnson, one of the company’s best-loved soldiers, had been killed by a mine. His death came only hours after an afternoon of fierce fighting with the Taliban. Many felt they had just cheated death. Little, his stubbled face weary with emotion, dug deep to find the right words. “I’m s*** at this,” he confessed to the men. He spoke of the gap Jonno would leave behind and how he had died doing what he loved. “Jonno would have been proud of each and every one of you,” he said. First there was a loud bang; then we were enveloped in dust that descended like a shroud. “Mortars!” someone shouted. In a panic, we scrambled for the relative shelter of our vehicle on a hill opposite Musa Qala, a Taliban stronghold under siege this weekend by Nato and Afghan forces, and dived inside. Sand thrown up by the explosion swirled through the hatches and we reached for our helmets, keeping low in case of incoming fire. Only when the dust had settled was the horror revealed: the blast had been caused not by a mortar, but by a mine that had been detonated when a British vehicle passed over it. One of the men with whom we were travelling was killed and two others wounded. The dead man’s next of kin were informed last night. It happened as a British convoy passed along a wadi – a dried-out watercourse – in the desert near Musa Qala. We were standing at the top of the pass and stretching our legs as we waited for troops to recover an Afghan army truck that had got stuck in the sand 25 yards away. The mine, probably one left by Soviet occupiers in the 1980s, exploded as the British vehicles steered past the truck.